It's impossible to predict the extent of the damage after a major disaster, but if the disaster is an earthquake, one thing is virtually certain: There will be broken water mains or plumbing pipes. That usually means that drinking water is cut off completely, but in some instances, there may still be enough pressure to deliver water to the faucets. You're right to be concerned about consuming that water, especially if it comes from a well. 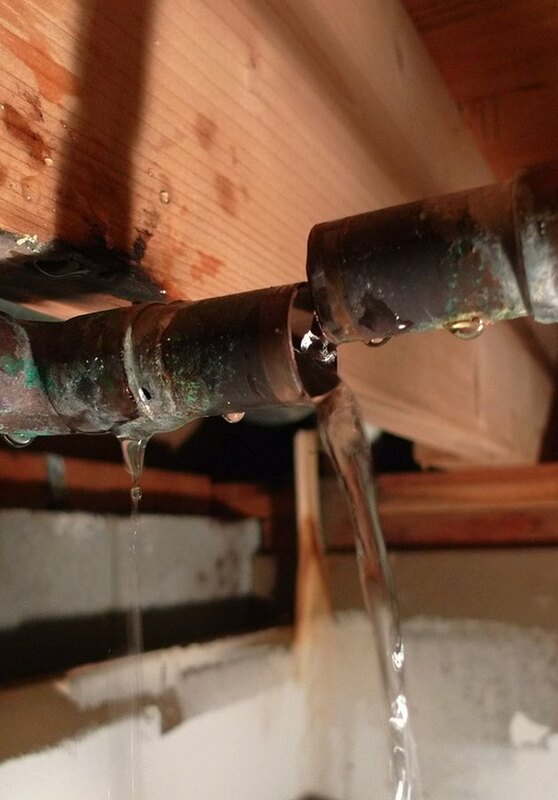 A strong earthquake can sometimes sever plumbing pipes, flooding your home. Do not drink tap water in this situation. The condition of the drinking water after an earthquake is as difficult to predict as the extent of the total damage. A few telltale signs can alert you to the likelihood of contamination, and if you're well prepared, your emergency supplies will include a test kit that will let you assess the water definitively. If your taps are still flowing, the water may be fine, but if you aren't sure it's best to drink the water you stored in your pantry as part of your emergency preparations. If you don't have an adequate supply of emergency water, you'll have to purify the tap water. You can do this using heat or chemicals. If the taps aren't running at all, you can get water from a number of sources, including the water heater and the toilet tank (not the bowl). Wherever the water comes from, it's a good idea to purify that water before you drink it. Pathogens can enter the water supply after an earthquake. A breach in the water supply chain can introduce mineral impurities. They will probably change the water color, although, because they dissolve slowly, it will take a few days for this to happen. If the water coming out of the tap is yellow or brown, it almost surely contains iron. A black coloration indicates manganese, and green usually indicates copper. Although these minerals are toxic in high doses, the human body does not efficiently absorb them from water, so technically, mineral-laden water is safe—if unpleasant—to drink in small quantities. 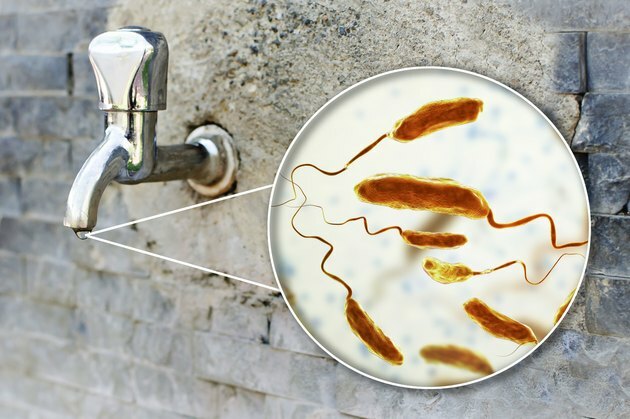 Of more concern are pathogens that may enter the water system through a collapsed well or a broken pipe. Water that contains amoebae or bacteria is often also discolored, but the discoloration comes from sediment and dirt, not the pathogens. Depending on the degree of contamination, the water coming from the tap may just be cloudy, or it may be brown, and it may have an odor. If the water comes out of the tap at full pressure and it's clear and odor-free, the water supply system is probably intact, and the water is probably safe. It's still a good idea to test it before you drink it. If you don't have a test kit, it's prudent to use your emergency water supply until you get the water tested. It is best to test for pesticides as well as bacteria. A breach in the system could allow groundwater to carry pesticides into the water supply. A test kit that detects both pesticides and bacteria costs about $25. Boil contaminated water to kill pathogens. The most reliable way to purify contaminated water is to boil it, according to several authorities, including the Centers for Disease Control and Prevention, the EPA and the San Francisco Public Utilities Commission. 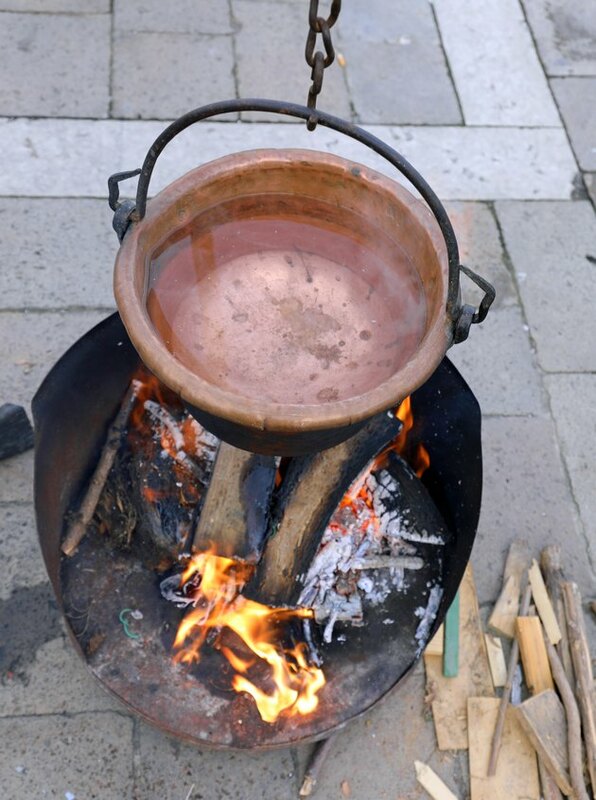 Bringing the water to a rolling boil for at least a minute kills bacteria, viruses and protozoa. While boiling won't remove mineral discoloration, it will clarify water that has been clouded by organic contaminants. After boiling, allow the water to cool to room temperature, preferably in a covered container, before using it. Boiled water tends to have a flat taste, and if that bothers you, add a pinch of salt per quart. Swimming pool bleach can be used in an emergency to sterilize water. Unscented liquid household bleach: Treat each gallon of clear water with 8 drops of chlorine bleach. If the water is cloudy, increase the concentration to 16 drops per gallon. Shake or stir the water and let it stand for 30 minutes before using it Avoid scented bleach, because the chemicals that create scents are harmful. 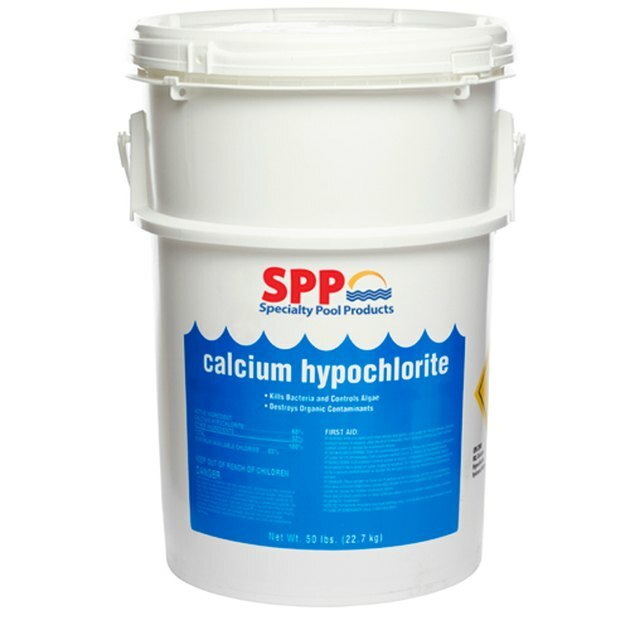 Dissolve a heaping teaspoon of calcium hypochlorite granules into 2 gallons of water and stir until the granules have dissolved. It's best to wear eye protection when doing this. Add the bleach solution to contaminated water in a 1:100 ratio—that is, 1 part bleach for 100 parts water. Tincture of iodine: If you have 2 percent tincture of iodine in your medicine cabinet, add 5 drops to each quart of clear water. If the water is cloudy, add 10 drops. It's also possible to treat contaminated water with hydrogen peroxide (H2O2), but the EPA does not approve of this method. If it's the only thing you have on hand, add 1/8 cup of medicine-grade (3%) H2O2 per gallon of water. Tap into the water heater using the drain plug. 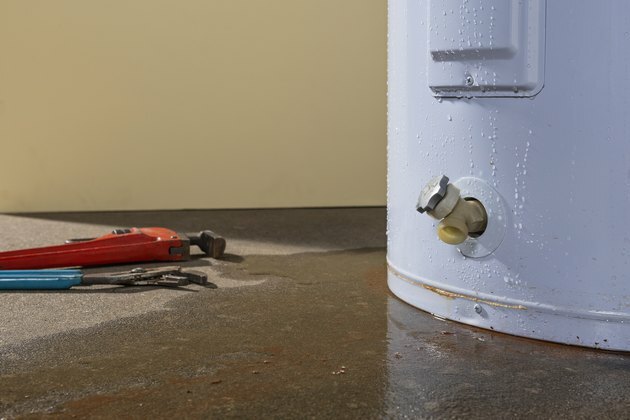 The water heater: Screw a garden hose onto the drain plug and empty as much water as you need into a clean bucket. A 40-gallon tank holds an ample 3-day supply for the entire family. Toilet tanks: Siphon water out of the tanks using a hose or rubber tube. Do not use water that contains a disinfectant, and do not use water from the bowl. Ice cubes. Place any ice cubes you have in the freezer in a clean bucket and let them thaw. River or lake water: If you live near a large body of water, you may have to rely on it for drinking water. Draw water from areas in which it is flowing, not stagnant areas. Do not use discolored water or water on which any debris is floating. With any of these emergency sources, it is best to disinfect the water through chemical means or boiling. Unsafe sources of drinking water include swimming pools, boilers and radiators for home heating systems, and water beds. You may be tempted to purify water using a reverse-osmosis or activated charcoal filter, but this isn't recommended, because these filters do not reliably remove microscopic pathogens. A purifier that employs ultraviolet radiation or a ceramic filter, however, is safe to use. What Are the Treatments for Cloudy Tap Water?